The Rocasses Hydroelectric Power Plant, located on the Ter River, in the Municipality of Camprodón, has been operating since 1929. 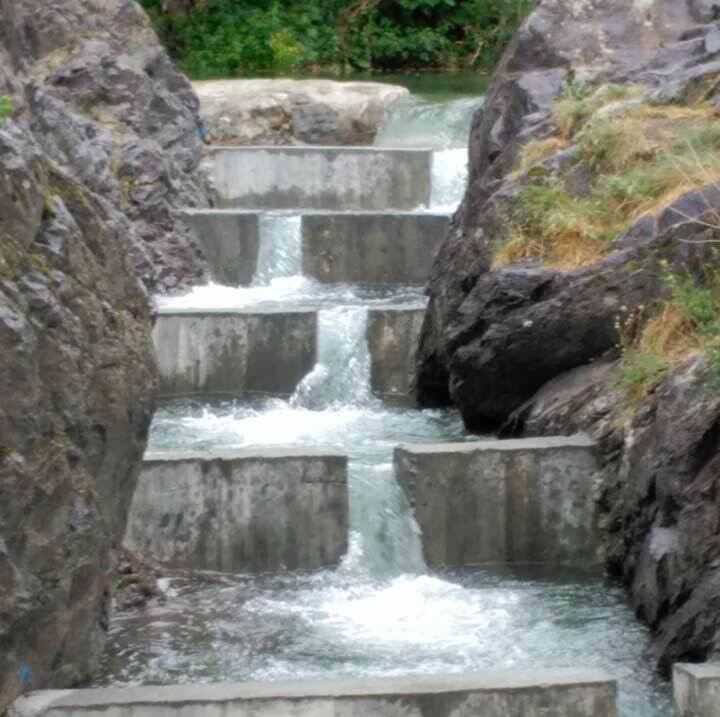 The modification of the concession conditions and the current legal framework have implied the need to build a fish ladder that allows fish passage in weir area. 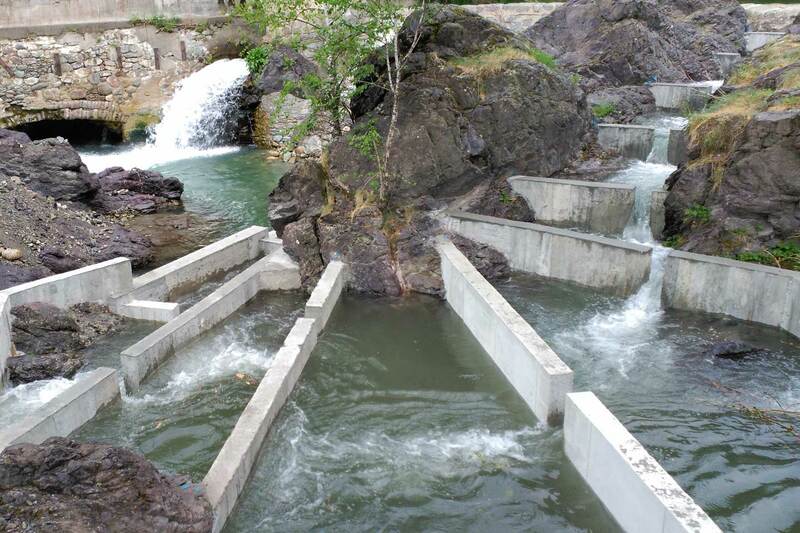 ERH Consult has projected this fish ladder, integrating it in the rocky massif of the left margin of the weir. The fish species of the section are the common trout, the mountain barbel and the river wolf. 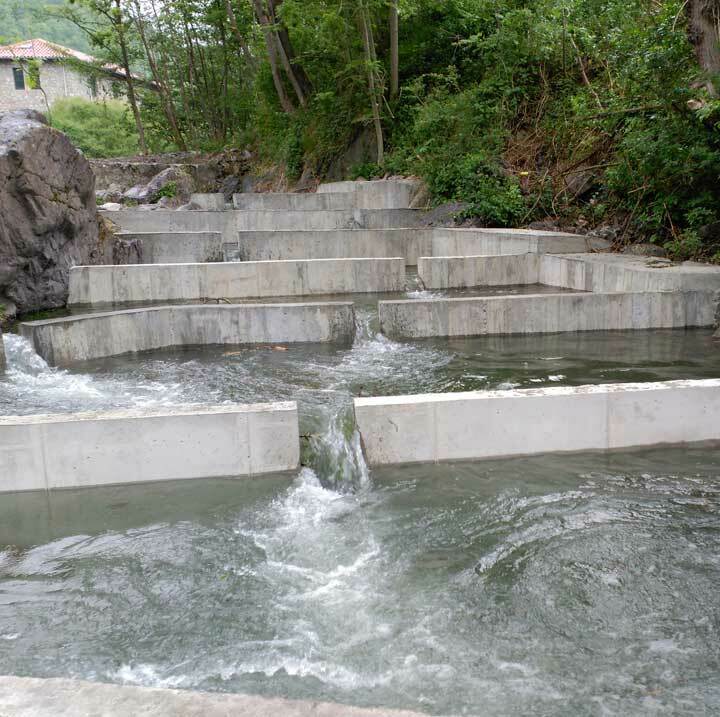 The projected scale has been of successive pools, and in its dimensioning have taken into account the conditions imposed by the Catalan Authority in terms of flow and fish species of the area. The maximum difference between pools has been 25 cm, ensuring that the maximum dissipated power per pool does not exceed 150 W/m³, that the minimum depth exceeds 60 cm and that the input speed is less than 1 m/s. A total of 17 pools, of different dimensions, have been projected, given the integration sought with the environment. ERH Consult has also carried out the supervision of the works and the necessary hydraulic checks after commissioning.